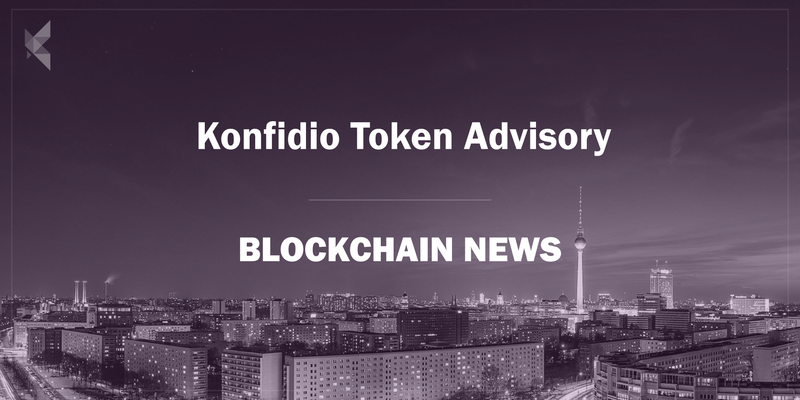 In partnership with SGGG Fexserv, we are excited to announce the launch of the Konfid.io ICO & STO Advisory, a full-service management solution throughout the entire life cycle of a token: from tokenomic design to ICO/STO development and marketing, to post-ICO/STO management. From the 1st November Malta’s Virtual Financial Assets Act (VFA) will come into effect, allowing issuers and prospective licensees in the crypto-world to start operating in an official manner. This makes it therefore the ideal timing to utilise Konfid.io’s ICO & STO Advisory services in conjunction with SGGG Fexserv. We leverage our extensive cryptoeconomic experience, our position in the funding ecosystem and our legal & compliance expertise in providing this service. Konfid.io has established itself as a key player within the crypto-scene with a proven track record of researching and applying crypto based technologies (e.g. Ethereum, Quorum, Cosmos, Dash, IOTA) and academic research in cryptoeconomics. Our partners at SGGG Fexserv offer the depth of experience and professional training that is required in providing ICO & STO advisory services: trustworthy, trouble-free regulatory advice along with compliance, corporate and accounting skills. Licensed by the MFSA, SGGG Fexserv acts as a Corporate Service Provider and a cryptocurrency fund administrator. Their dedicated services for ICO/STO regulatory registrations, ICO/STO issuer incorporation and support, and other ancillary services make them a fitting partner when combined with our crypto knowledge and experience. Konfid.io is able to offer extensive technical advice and design throughout the whole tokenization process. The ICO & STO Advisory can design the token functionality and business model of the token, pre and post ICO/STO, specifically tailored towards your needs. Development of the smart contract and platform, which is able to take care of the token generation process, clearing and settlement of the transactions, is also included in the advisory service if required. In order to ensure full compliance with the Malta Digital Innovation AuthorityDirectives, Konfid.io will undertake extensive auditing of the systems that issue the token. Along with SGGG Fexserv’s help and expertise, the whole process can be completed with thoroughness, reliability and confidence. Drafting the process for the valuation of the price of the token, as well as planning and launching the Initial Coin Offering, can also be provided by the Konfid.io ICO & STO Advisory. SGGG Fexserv offers a number of comprehensive services in relation to the setup of the ICO/STO Issuer (legal entity), with ongoing substance support and related corporate, secretarial and accounting available through their partnership with the Konfid.io ICO & STO Advisory. Review and/or drafting of the ICO/STO White-paper and regulatory documentation, in order to guarantee compliance with Maltese law and rules, can be completed by SGGG Fexserv’s team of accountants, financiers and legal experts as part of a tailored package. The coordination, handling and processing of ICO/STO regulatory authorisations with the Malta Financial Services Authority (MFSA) (effective upon the enactment of the Virtual Financial Assets Act on November 1st) can also be performed by SGGG Fexserv on behalf of the advisory’s clients. This also includes drafting and support services on Anti-Money-Laundering and Know-Your-Customer policies for the ICO/STO. Our team of marketing specialists have led numerous successful campaigns and fundraising projects for ICO/STOs and traditional start-ups, and are now able to bring their services and expertise through the Konfid.io ICO & STO Advisory. Our growth specialists have extensive backgrounds in design thinking, journalism and community management. The Advisory offers then user-focused ICO/STO marketing and brand development, helping to create optimal positioning for early-stage investment and long-term success. Through implementing the essential aspects of a digital marketing campaign, which benefits from the combined years of experience of our senior marketing advisors, we can help your ICO/STO reach its full potential. Our team of researchers and content producers can also help to measure the impact of your outreach, and learn about your audience before going public in order to further enhance growth and reach. Our team is one step ahead of this quickly evolving landscape, and are able to craft and deploy the most relevant public ICO/STO marketing techniques with airdrops, bounties and community management. Research, planning and execution of marketing specifically targeted at VC firms, family offices and high net worth individuals are also available to potential clients, along with. token valuation, pitch deck design, investor outreach and fundraising. Our team of advisors, technology experts and consultants provide one of the ICO & STO Advisory’s leading strengths: Unparalleled experience, knowledge and leadership in the crypto-sphere. 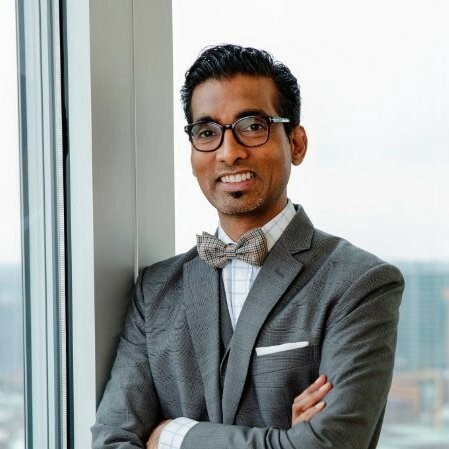 With an extensive background in digital strategy and innovation, Dr Mervyn G. Maistry provides a clear vision for Konfid.io and its role in creating decentralized enterprise solutions. After graduating from medical school and working in paediatrics in South Africa, Mervyn has had numerous key positions for such prestigious companies as Deutsche Bank, Nedcor Investment Bank and Accenture. Mervyn advises a variety of projects in the blockchain and business world including Slock.it and formerly IOTA, and has also previously worked as a partner at EY Start-Up Accelerator & as Digital Strategy Practice Lead. He is currently also the Chairman of the crypto fund Kintaro Capital. Lawrence Buttigieg, group CEO of SGGG Fexserv, has an extensive background as a qualified accountant in assurance, advisory and legal. Working within the Alpine Group, which includes various license holders in the financial, investment, and corporate services, Lawrence has become a key advisor in the Maltese funding and crypto-scene. With specific expertise in the areas of due diligence, legal compliance & regulatory frameworks, Lawrence plays a key role within our ICO & STO advisory services. As head of our Marketing Team, Malcolm Cannon is able to help implement key processes that lead to growth for our clients’ brands and potential market size. After working as a commercial copywriter, Malcolm spent 6 years as a growth specialist before moving into the blockchain scene. He currently works as CMO for Cyberian Mine GmbH, and for Konfid.io as a senior marketing consultant and head of investor relations for Kintaro Capital. With previous experience working in digital strategy and transformation, Galen Evans is now creating customised blockchain solutions for a number of different projects and enterprises with Konfid.io. He specialises in helping clients build new business models, particularly through the use of advanced data science methods when constructing public and private blockchains. His technical knowledge allows the advisory to provide a fully customized tokenomic experience to our clients. Sérgio Veiga has been working in the development scene since 2005 and is capable and experienced in a large number of programming languages. He has a proven track record in a significant range of computation areas, and is extremely knowledgeable in crypto technology and economics. He currently works with Konfid.io as a senior Ethereum developer on a number of projects, and is able to work in the construction and conceptualization of any prospective client’s token with ease and precision. Konfid.io ICO & STO Advisory is available to help with any part of the ICO/STO and tokenization process in an efficient, professional and highly competent manner, after years of combined team experience in the cryptosphere. Through the combination of knowledgeable core technology developers, innovative leads and SGGG Fexserv’s team of lawyers and accountants, Konfid.io offers an unmatched ICO & STO consulting experience. We look forward to hearing from any prospective clients soon who wish to join us in the tokenization process.